Fornax UCD3 is a part of a Fornax galaxy cluster and belongs to a very rare and unusual class of galaxies - ultracompact dwarfs. 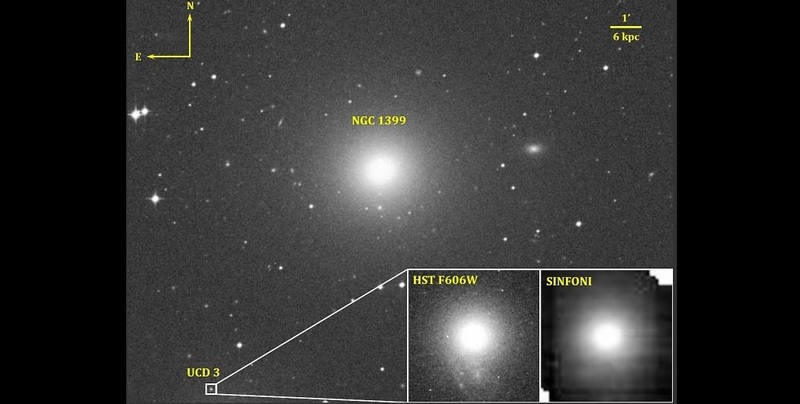 The mass of such dwarf galaxies reaches several dozen millions of solar masses and the radius, typically, does not exceed three hundred light years. This ratio between mass and size makes UCDs the densest stellar systems in the Universe.